While the U.S. Environmental Protection Agency, the European Union, and Volkswagen leadership themselves claim to be shocked—shocked!—by the diesel scandal that continues to necrotize its way through the company, one small group of people says they’ve been talking about it for years. It’s just that nobody was listening. If you live in one of the more than 20 states where Opus Inspection, through its subsidiary Envirotest, operates emissions testing programs, you may have seen its “RapidScreen” trucks and, more lately, unmanned stations set up beside the road, scanning the tailpipe emissions of passing vehicles. You may even live in a state where receiving a clean bill of health from one of these trucks a couple of times a year can exempt you from having to present yourself and your car for an emissions test at registration time (though you still have to pay the inspection fee, naturally). The system works by waiting for a car to flash past, when, in the space of milliseconds, the vehicle’s speed is measured (twice, to determine whether the car is accelerating, decelerating, or neither) and beams of infrared and ultraviolet light are shot across the road and reflected back through its exhaust wake. Particular frequencies of the light are absorbed by various pollutants, including carbon monoxide (CO), hydrocarbons, carbon dioxide (CO2), oxides of nitrogen (NOx) and particulates. When those frequencies of light don’t register back at the receiver at the proper levels, the system knows the passing car is emitting more of one or more of the pollutants than it should. (This is called spectroscopy, and it’s the same way drive-in emission tests are performed, except in those places the exhaust is collected by a tailpipe sniffer and the light is shot through it inside a box.) Finally, a snapshot is taken of the back end of the car, attaching the scan results to the vehicle’s license plate number. Scanning cars on freeways as they zip past—millions of scans a year can be collected in a single state alone (many of those are the same vehicles more than once, of course)—leaves the company with a lot of data. And like good engineers everywhere, the folks at Opus love nothing more than sitting down to a big, piping-hot plate of fresh data and digging in. Turns out that in the past few years, their nosedives into all that data have consistently revealed that diesel engines in the 2.0-liter class, made by a certain large German automaker (spoiler alert: it’s VW), have been emitting NOx at much-higher-than-allowed levels in the real world, no matter what their results were showing in drive-in emissions tests. Presenting at the 25th CRC Real World Emission Workshop in Long Beach, Calif, in March, McClintock, along with Niranjan Vescio, remote sensing product manager at Opus; and colleagues Jens Borken-Kleefeld of the International Insititute for Applied Systems Analysis and Gary Bishop and Donald Stedman of the University of Denver, cited test data from California and Colorado showing that, beginning in 2008 and through 2014, emissions from passenger cars with 2.0-liter-class diesel engines were significantly higher than allowed by USEPA Tier 2 emissions standards. The same data indicated that vehicles using “SCR,” selective catalytic reduction— that’s urea injection to you — did work to reduce NOx, with some systems working better than others. So if this data has been available for at least six years, why hasn’t anybody been paying attention? 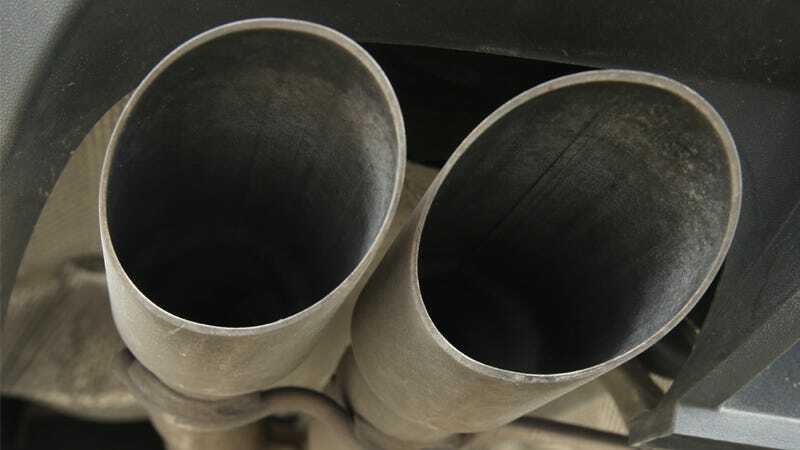 McClintock and Vescio say that some states, such as Virginia, do use drive-by data on individual vehicles found to be in violation of emissions standards, to contact the cars’ owners and insist that the cars be repaired and re-tested. The EPA has also asked Opus for aggregated data in the past. But nobody seems to be looking systematically at the mountains of information drive-by tests collect. If somebody had been, VW’s violations might have become clear a half-dozen years ago. “Everybody just kind of stumbled upon [the VW problems], and that’s the shame of it all,” Vescio says. Data like this has been used to pin down similar problems in the past. McClintock and Vescio cite a years-ago case in Taiwan, where testing data revealed that a local version of the Ford Fiesta was polluting in excess; the cause was found to be sub-par catalytic converters from a bad supplier. More recently, in Dubai, new, expensive cars were found to be polluting excessively, and the cause was found to be poor-quality local fuel that was prematurely degrading the cars’ emissions-control systems. Opus’s data has also been used to flag cars that fail drive-by tests after passing drive-in tests; in Texas, that information has been used to go after drive-in test operators “gaming” the system and taking bribes for passing cars that should fail. What McClintock and Vescio would like to see—obviously, since they work for a company that would benefit greatly—is a big-data approach that would use widespread drive-by testing not just to verify that individuals’ cars are operating according to emissions rules, but as a way to get a broader picture of what’s happening with auto fleets as a whole. By looking at such a huge data set, regulators could pick out instances of anomalous polluters like VW’s two-liter diesels—and the great diesel cycle-beating case of the 1990s—much, much faster. Privacy concerns of the tinfoil-hat set aside (millions of people are already getting their cars scanned everyday), the cost of building a drive-by-test system wide and robust enough to keep an eye on the emissions health of the entire U.S. auto fleet could run into the billions. On the other hand, the fine VW faces certainly will run into the billions itself. Perhaps some of that money could be put to use to make sure nothing like Dieselgate ever happens again? Dave Plank is a freelance journalist in Denver. His work has appeared in The New York Times Magazine; WIRED; Outside; and Automobile Magazine, for which he won the Ken Purdy Award for Automotive Journalism in 1993.